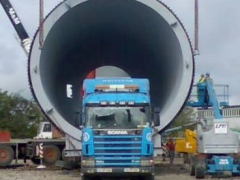 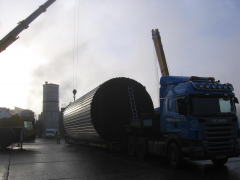 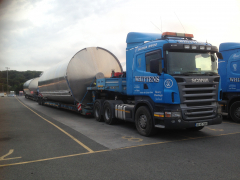 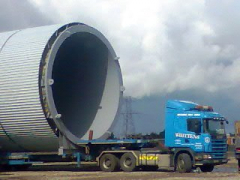 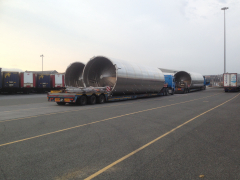 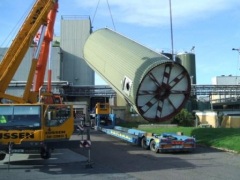 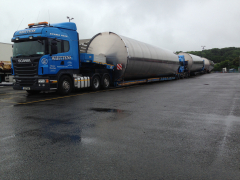 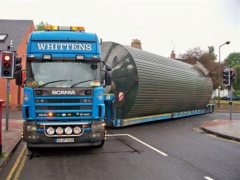 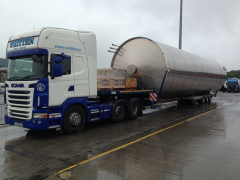 Whitten Road Haulage offer complete haulage management for silo tanks in Ireland. 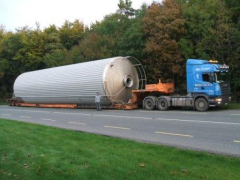 From our selection of 5 vessel carriers, we are ideally equipped for the movement of oversize Silos, Tanks and other structures. 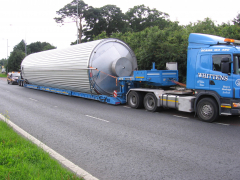 Along with extendible lengths up to 22 metres, these trailers also offer the option of width adjustment to allow the load to ‘sit’ into the bed of the trailer and thereby travel at the lowest possible height. 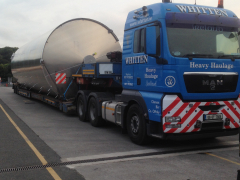 This provides additional flexibility in route planning as it affords bridge clearances not otherwise available.